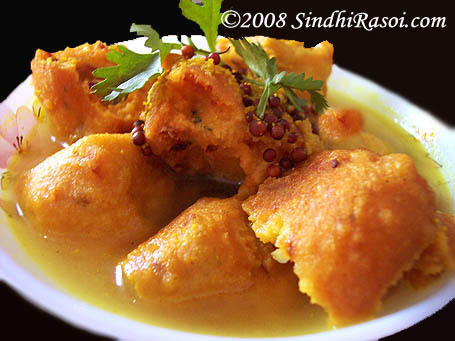 Toori Chanadal is the recipe of the day, which is a simple yet very delicious recipe made using Smooth gourds or Turai/ Toori. The recipe is similar to that of Toori recipe, but just for your convenience, let me share it here again ! Then add chopped tomato, chillies, ginger, salt, all the masalas and mix properly. Since fresh toori have lots of water content, so these hardly require extra water to be added to cook them,but if it is not fresh or if you do not want to take a chance, then add few spoons of water and close the lid of cooker and wait for 4-5 whistles.Put off the gas and wait till the pressure of cooker subsides. Check the consistency, it should be semi dry, so simmer further, if needed, till all the extra water evaporates. 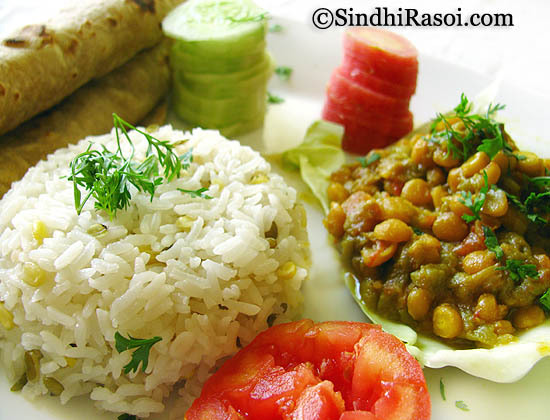 Garnish with fresh coriander leaves and serve it with Khichdi and/ or Roti. I am surprised , this tori and chana daal combo is a eastern UP classic too , made with a bit more onions and no garam masala or dhaniya powder. This kind of curry with spice powders is made with kala chana too . 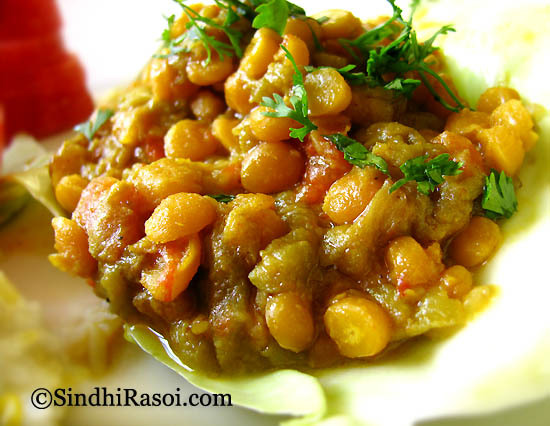 I make this spicy version too and I love it….never knew the ‘nenua chana’ ( the UP name for this curry) has a sindhi counterpart too. Thanks Alka for sharing this recipe. 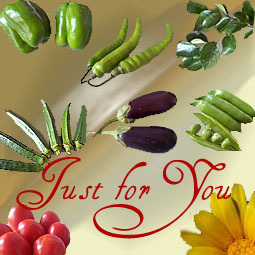 In fact any traditional indian dish is healthy & nutritious. It is the bad habits & junk food induced by modern life that we have forgotten good eating habits. We support health wherever or in whatever form it is. Dal looks swell – yummmm! What a scrumptious palette it is. Looks like a perfectly balanced meal. mouthwatering dish. i will try. very tempting too. happy chrismas and happy new year too in advance. Dal looks excellent and very tempting..
Wowo looks so so droolie delicious. yummmmmmm…another of my favourites. 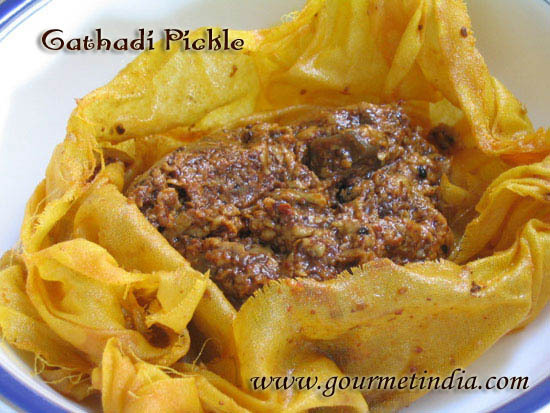 This goes amzingly well with tawe wara vangan (brinjals) or kachalu/arbi. or even simple aalu fry. And a bowl of raita completes the savoury tales. Absolutely yummyyy… Makes me feel lyk having it NOW!! 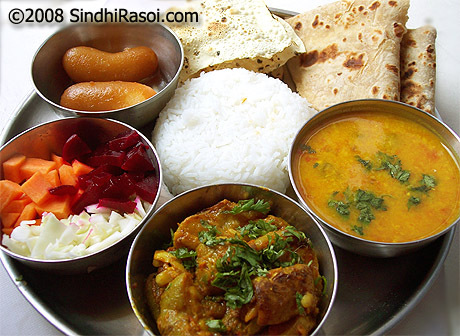 The dal look delicious & mouth watering. Would try the smooth guard next time.